Already listed with our Phuket painting contractor directory? Phuketindex.com offers a directory of painting contractors within Phuket Island. Professional painting contractors provide for your place at the reasonable price. 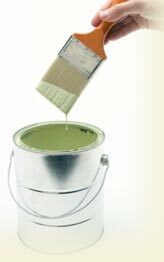 Easy found all information about painting contractors in Phuket from Phuketindex.com. Piyawan Kaewkamhang Construction Co., Ltd.
Piyawan Kaewkamhang Construction is a full-service design and professional services firm specializing in project development, process engineering, and facility design. Phuket Ruchchakorn Construction Co.,Ltd., a professional of Construction Company, well-known for the outstanding quality assuring entire satisfaction of its customers.